1. I hereby promise to remove my makeup every day with water. Even if you are really tired, drunk or just feeling lazy, your makeup has to be removed. If you think it has come off throughout the course of the day or you think you don’t wear a lot, you still need to wash your face. Your skin needs to have the pores cleaned everyday with water in order to be happy. Cleansing wipes alone simply are not good enough, you must wash with water and your favourite cleanser. This goes for others touching your face too. If you have makeup on you tend to be more protective about people touching your face as you don’t want to smudge your makeup. However, even if you are wearing no makeup you don’t want dirt and bacteria from your hands (or anyone else’s) to go on your face. On a side note, it’s a good idea to clean your phone with an antibacterial wipe every few days too as it touches your face more than your hands do sometimes! 3. I must wash my makeup brushes and applicators once a month. I know it seems extreme but just think about the product and bacteria build up on your tools. 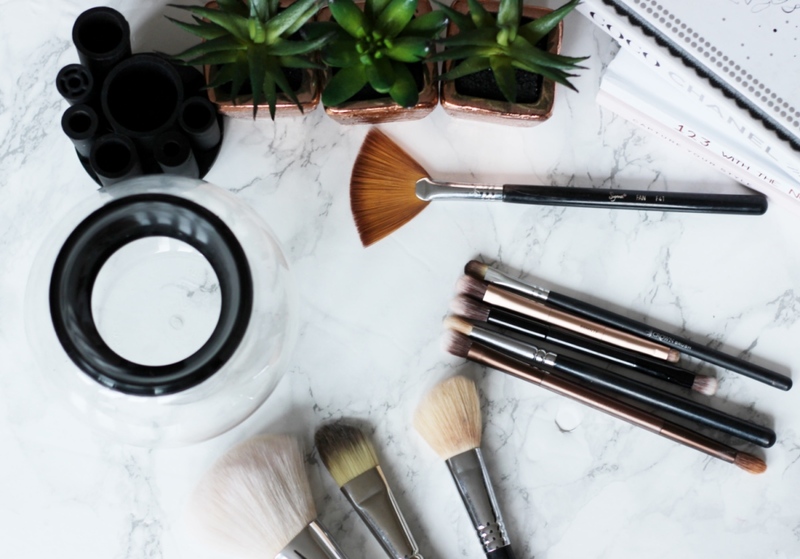 You would expect a makeup artist to use clean brushes on you so why not set the standards yourself? If you can’t manage every four weeks then every eight weeks should be manageable at least. 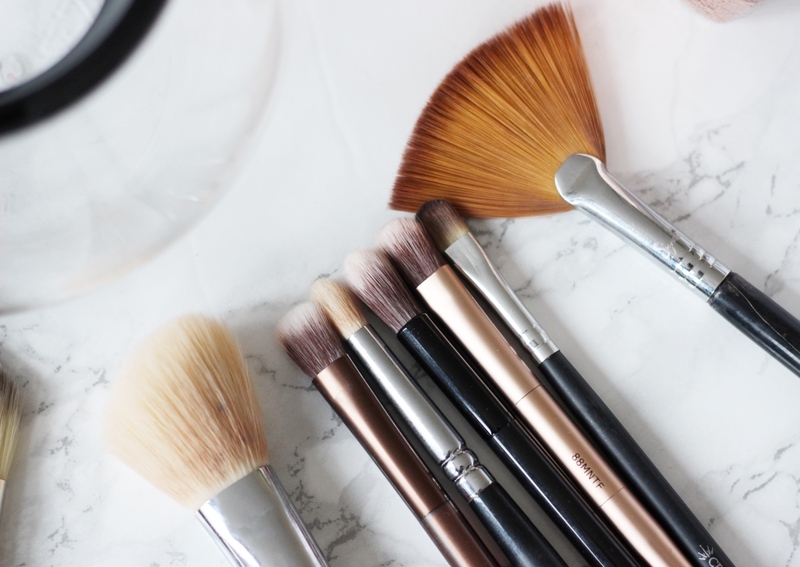 Your skin will thank you for it and there’s such a great feeling about using clean brushes. Toning your skin is not a necessity but cleansing your skin is (beauty commandment number 1) and of course your skin needs to be moisturised. You need to find the right moisturiser and skincare routine for you, this will most likely change between seasons. you should also have a night time routine too and make beauty sleep quite literal, lets the creams and serums do the work while you sleep and wake up to fresh renewed skin. You can see my skincare routine here. Pamper yourself with a face mask at least once a month, I do it weekly over the weekend and find it makes such a difference to my skin. It just gives your skin a little boost, whether it’s to brighten your complexion boost hydration or treat spots. This is one tip I always give to brides leading up to their wedding and for people who tend to breakout often. It is good to get into the pores and have a deep cleanse and remove the dead skin cells and any residue build up on your skin. Give the new skin cells a chance to surface and brighten up your skin. 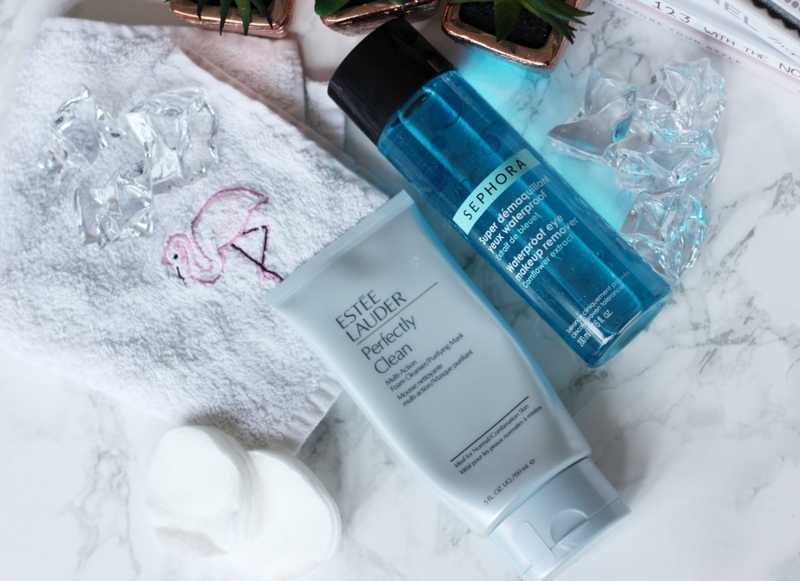 If you have super sensitive skin, try a mid exfoliant to start off with. Otherwise you should try to exfoliate 2-3 times a week, your skin will feel so new! Some people tend to have really dry lips, especially in the Winter or when they are feeling a bit run down. Keep your lips hydrated, under lipstick and also before you go to bed. Apply lip balm before bed and wake up with soft lips. If you tend to get dry lips, use a lip exfoliator once a week to remove the dead skin cells, you will notice how smooth and soft your lips will feel! All the skincare routines, lotions and potions are great but if you are not drinking plenty of water and getting enough sleep then there’s really no point. 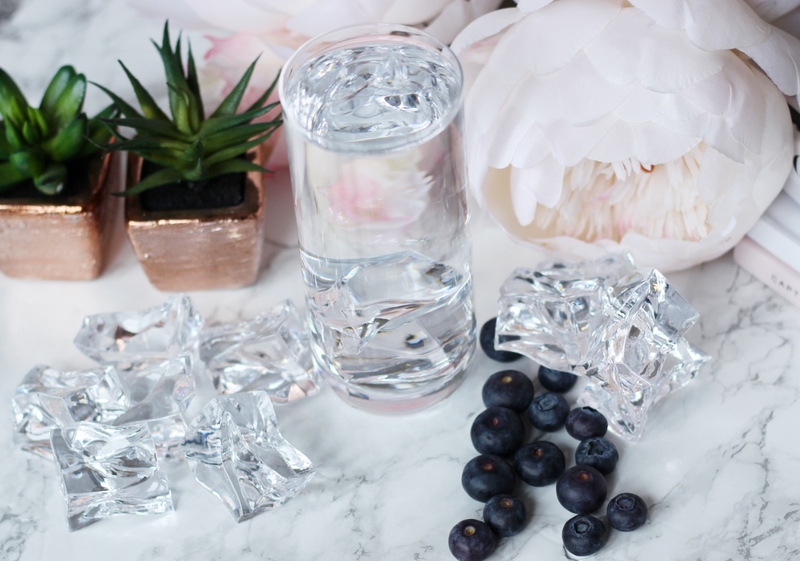 I’m sure you’ve read this a million times before, but water keeps you and your skin hydrated, flushes out all the bad stuff and keeps your energy levels up. I too struggle to drink eight glasses a day but really it’s supposed to be 8-10 glasses of water a day. Just drink as much as you can to start off with and you will notice the difference. As for sleep, beauty sleep is a real thing. Your body and mind needs time to reset, lack of sleep ages you and makes you feel stressed. Get your beauty sleep ladies! People always ask me how my hair looks healthy and how I manage such long hair. For as long as I can remember, I have always had my hair trimmed every 6-8 weeks. Hair grows if it is healthy then the split ends will not grow. Of course there’s other hair care involved, so a little bit of extra love won’t hurt. Most people style their hair with heat and wash their hair regularly. Styling and the environment can really can it’s toll on your hair. Give your hair a little TLC at least once a month (once a week or fortnightly would be better) a good hair mask for 2-3 minutes when you are in the shower and if you have time you can try one for longer. A hair mask will give a deep conditioning and nourishing treatment. If your hair is healthy and well nourished you will find it styles better and your style will hold better… goodbye to bad hair days. The beauty rules I follow are pretty similar to yours!